We’re more than just a dance school. Império do Papagaio is community, a samba family, focused on teaching and sharing Brazilian culture through dance and music. G.R.E.S. Império do Papagaio is an authentic samba school in the style of Rio de Janeiro, in Helsinki! The Samba School Império do Papagaio was founded in 1989. Our objective is to perform authentic Brazilian samba following the traditions and respecting the deep roots of samba, but inside the Finnish context, with Finnish flavour. 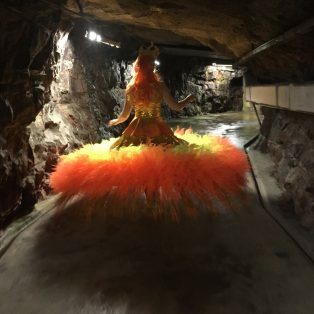 Papagaio is the Finnish Samba Champion thirteen times, and a one-time winner at the Norrköping Carnaval in Sweden. Beyond, our school has received praise and respect both in Finland and other corners of the world – all the way to Rio de Janeiro! Brazilian samba schools are carnival associations which compete every year in the carnival with their glamorous parades. So does Império do Papagaio. 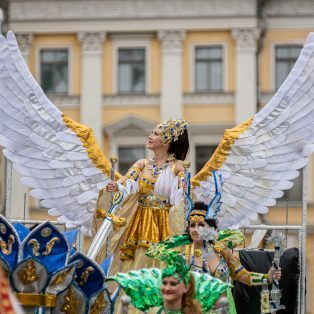 Our main objective each year is to build a carnival parade for the annual Helsinki Samba Carnaval® event. 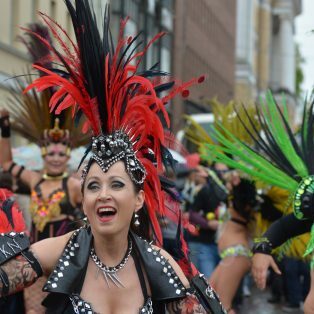 The event is organized by the Association of Samba Schools in Finland (ASSF) which has seven members, Papagaio being one of them. Everything that you see and hear during the carnaval parade is made by ourselves: the costumes, floats, music… Our samba school consists of over 250 active members: dancers, musicians, composers, seamstresses – and good friends! Everybody is most warmly welcome to join us! A true Rio-style sambaschool can be identified by the abbreviation G.R.E.S. (Grémio Recreativo Escola de Samba = recreational association samba school). Only registered samba schools may use this abbreviation together with their name. Samba is more than just a rhythm. Samba is a state of mind! Papagaio is managed through a 7-member board, voted in in the annual meeting around October-November. The board consists of a president, a vice president and five board members. Any member of Papagaio can be put of for any of the positions. Want more info on classes? Need to book a samba group to liven up the party? Contact us now! All classes are free for all first-timers, so come on, try a new class! You’ll find answers to the frequently asked questions here. Want to learn samba dancing or percussion? How about a samba show? Contact us.